Want a cohesive wardrobe that won’t leave you constantly thinking that you have nothing to wear? It pays to think strategically about the key items in your closet that will help you get there. Instead of constantly piling more clothes, more shoes, more accessories onto the pile and ultimately ending up at the same place, you need to start thinking about the few items that will work back with the rest of your wardrobe in multiple ways. I will stand by this purchase over and over again. I kept an eye out for this Balmain blazer (similar style here) for ages and finally nabbed it when I saw it on sale and haven’t looked back since. It goes with so many different outfits and it instantly makes anything I wear look polished. Do your research and try on a few different styles before settling on the right blazer and make sure the fit is ultra flattering, not too boxy and is just the right length (I’m a fan of the longline style). Grab one in black and I guarantee you’ll wear it to death. Sneakers are not going anymore any time soon. They’ve become a wardrobe staple and rightly so given how easily they work back with everything and also how comfortable they are. It’s a bit of an oxymoron but find yourself a pair of “dress” sneakers. So think a style that’s sophisticated and sleek, with minimal embellishments. I love metallics and use it as an accent colour a lot so I knew these Gucci sneakers would work well with what I own, however you may prefer to stick to a nice clean, white palette to ensure that you can wear it with most of your wardrobe. 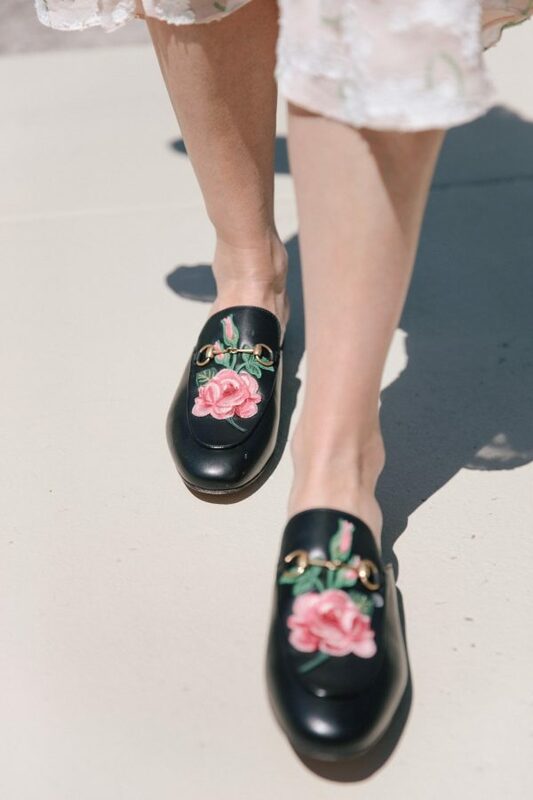 Slides are one of my favourite trends and whilst they’re great for casual wear I think a pair of slip-on loafers is the kind of piece that’s ultra wearable but can also lift an outfit. 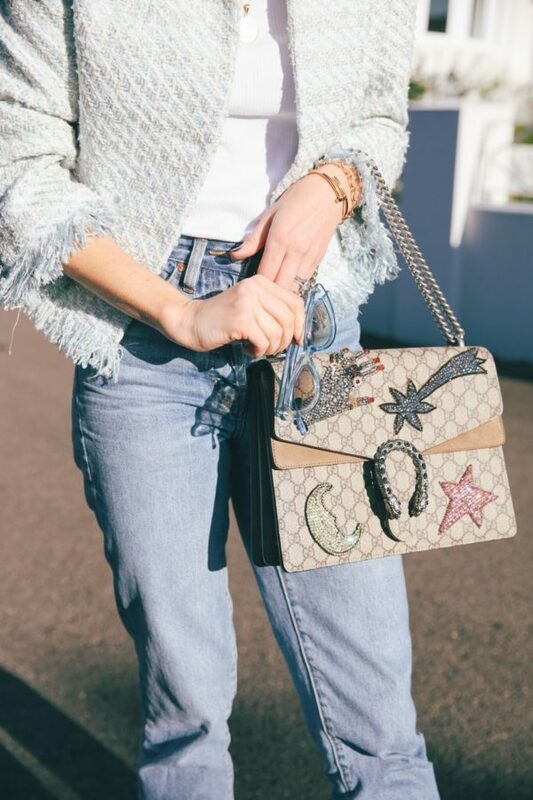 Find a pair that’s got a classic shape but perhaps has an interesting detail such as a great buckle or even an appliqué such as the above Gucci pair I fell in love with to turn it into a standout, statement piece. This style can work with everything from jeans, to dresses and skirts so you’ll definitely get your money’s worth with such a purchase. A white shirt has been a wardrobe staple for forever but lately, it’s become a whole lot more interesting than the plain button down of yesteryear. A style such as the above wrap shirt, also has great finishes that turn into something extra—think the tie detail, the lapels, the ruched sleeve, and the split back detail (you can see it here) that gives it an alluring touch. It has all the goes-with-anything elements of a traditional shirt but so many more extra finishing touches that make it fashion forward. Think about how frequently carry your handbag. If you’re like me it probably gets quite the workout and is always jam packed with day-to-day essentials so it has to be stylish and durable. 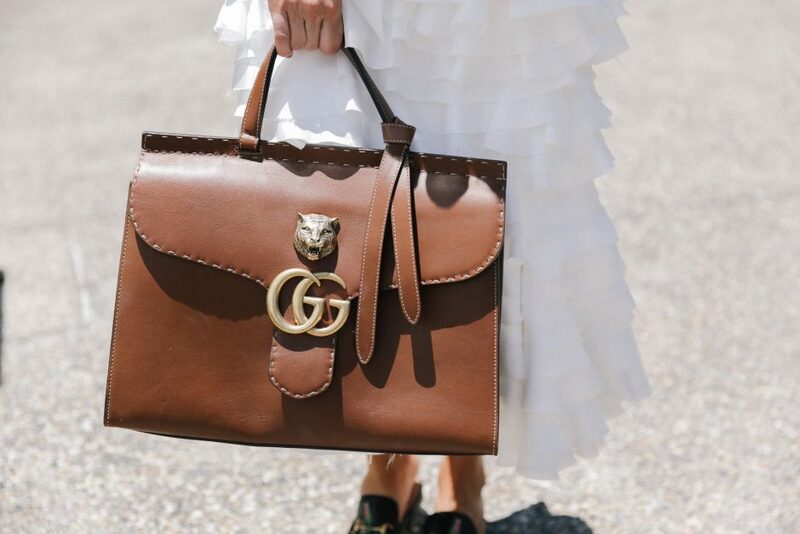 I think if you’re going to invest in one thing in your wardrobe it’s a quality bag. One that’s able to withstand constant wear and tear and is able to carry your entire life effortlessly. 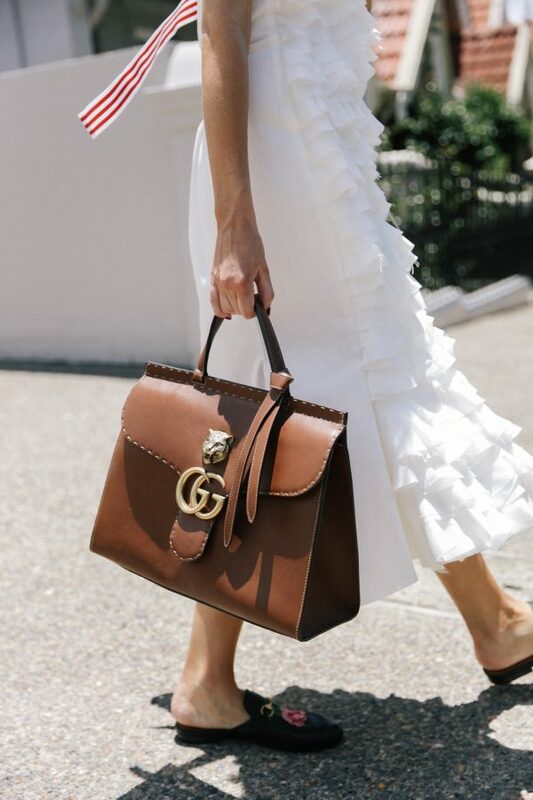 I love a bag like the above which is a neutral shade making it an easy piece to mix and match, but it has just enough detail to make it interesting. What are some key pieces you’re planning to add to your wardrobe this year?